Place Summer Squash in a plastic storage bag before refrigerating. 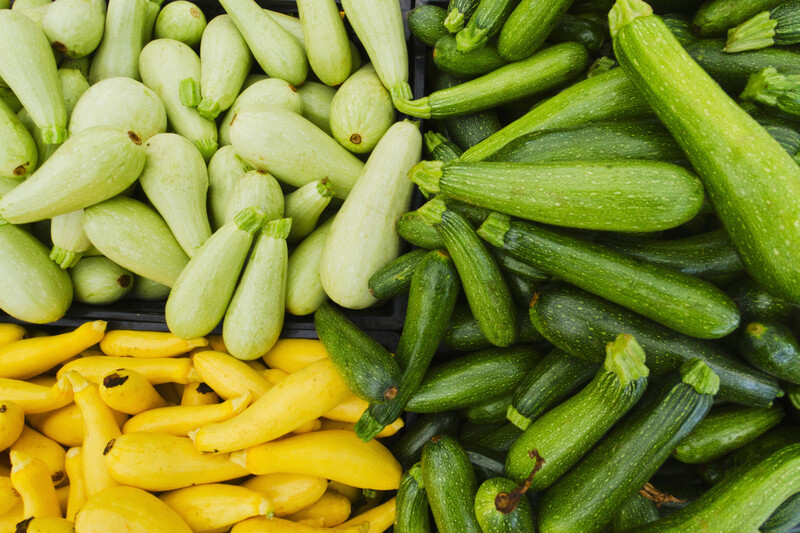 Do not wash Summer Squash before refrigeration because exposure to water will encourage your Summer Squash to spoil. Summer Squash will remain fresh for up to 5 days when properly stored. Summer squash is a good source of Protein, Vitamin A, Thiamin, Niacin, Phosphorus and Copper, and a very good source of Dietary Fiber, Vitamin C, Vitamin K, Riboflavin, Vitamin B6, Folate, Magnesium, Potassium and Manganese. Summer squash differs from the winter type by being more tender and having a thinner rind. This skin should not be discarded because it contains many valuable nutrients. Because it has a high water content, it’s best not to salt squash until after cooking or too much water will cook out. Squash comes from the Narragansett Indian word "askutasquash." This roughly translates into "eaten raw or uncooked."